The dragonspyre pirate: 10 Pirate101 tips and tricks for all players! 10. Press R to whisper back when someone whispers to you. That way when you are buying or selling and don't want to close the shop window just press R and continue the chat while shopping! 9. Good gear comes from many unexpected places. I use a cool ranch ring that gives a hide and I need to farm mooshu for some fort gear, so just know Moo and Kane aren't always the ideal places to farm for gear! 8. Not a member? Well since videos are gone trivia is the way to go for free crowns. After a month of doing 10 every day you can buy any where in the spiral! The questions are easy and there are places to find the answers, plus the questions have no time limit! 7. Do side quests! I know they aren't the most popular but they help a TON! A lot of nautical Exp, companion tomes and exp for yourself! Plus most of them go pretty fast. 6. Pirate101 central forums is your friend. 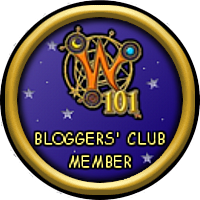 I know most people go to wiki but central can also provide some valuable advice and expand your pirate101 knowledge. 5. Enter wiz contests as well. I do this as well, if you need crowns or a membership wiz sites also host contests for crowns and bundles. Granted they are intended for wiz but if you feel like you can enter and win, go for it! 4. Join as many parts of the community as you can for help! There are several platforms (if you are of age try and join!) like twitter, Facebook, amino, and Instagram. These and more can provide you help, tips, and pirate101 news! 3. Farm for ship gear to stay with your level! This shouldn't have to be said but I see many pirates ignore their ship equipment and then complain ship combat is too hard. Usually all the ship equipment you need is in the bazaar or mostly dropped by one boss ship. 2. A lot of crown gear has dropped equals. For example, the best wheel in game (the Pegasus heal) is dropped in aquila with the exact same stats! Hope you learned something! Cya in the spiral!